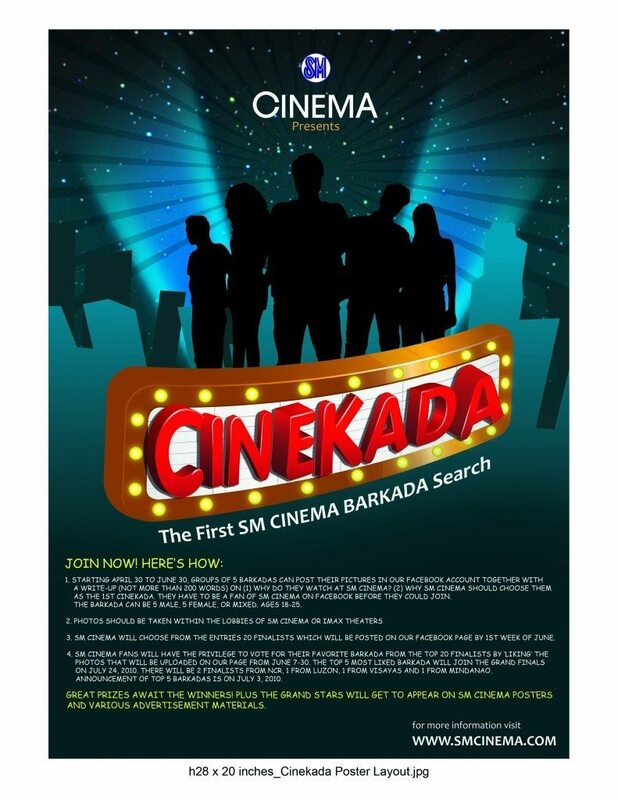 Join the First SM CINEKADA! They have to be a Fan of SM Cinema Facebook before they could join. The barkada can be 5 male, 5 female, or mixed 18-25 years old. 3. SM Cinema will choose from the entries 20 finalists and which we we will post on SM Cinema Facebook page. 4. SM Cinema Fans will have the privilege to vote for their favorite barkada by ‘liking’ the Photos that will be uploaded on SM Cinema Facebook page. The top 5 most liked Barkada will join the Grand Finals. 5. Grand Finals will be at MOA Centerstage on July 24/6pm.